Reading is one of my greatest pleasures. I read to learn, to escape, to relax, to challenge myself, to connect, to dream, I can't remember not reading. I'm a big fan of Goodreads (I'm Jillian Moreno there), it helps me track what I've read; I remember doing it with index cards in Jr. High - 1 card of each book filed away in a box. And it helps me remember what I want to read; I've had to stop instantly library requesting or buying every book that looks interesting. I just can't read that fast. Every year I participate in the Goodreads reading challenge, set a reading goal and try to hit it. This year my need to read was bigger than my goal. I set a goal of 75 books and ended up reading 93. Next year I may try for 100. I read a variety of things, kids, YA, graphic novels, mysteries and fiction. I don't read a lot of non- fiction, I don't count every book I review for Knitty and I listen to audio books. If you want to see everything I read you can peek here. Here are a few standouts for me for the year. I won't try to describe them. My Name is Lucy Barton and The Girls were the best fiction I read this year, I wouldn't want to choose between them. I discovered two new mystery series, the Duncan Kincaid and Gemma James modern British police detective series and the Maggie Hope historic British series. The Maggie Hope series, starting with Mr. Churchill's Secretary is especially wonderful if you are a mystery fan who enjoyed The Crown. My favorite listens were the full-cast American Gods and a couple non-Jeeves P.G Wodehouse books. Cursed Child was a satisfying, familiar read and the Notorious RBG made me determined for the coming year. I do have one absolute favorite book for 2016, my own, Yarnitecture: A Knitter's Guide to Spinning: Building Exactly the Yarn You Want. It was published in late August after two years of non-stop work. I am proud of the book and the work. I am thrilled at the positive response I've received for it and I'm having a great time meeting spinners while I teach around the country who have been inspired by the book. So many people had a hand in making this book and supporting me while I did my part, I want to share them with you. During 2017 I'm going to talk about them and lots of pieces of the book here on my blog. What were your favorite books of 2016? 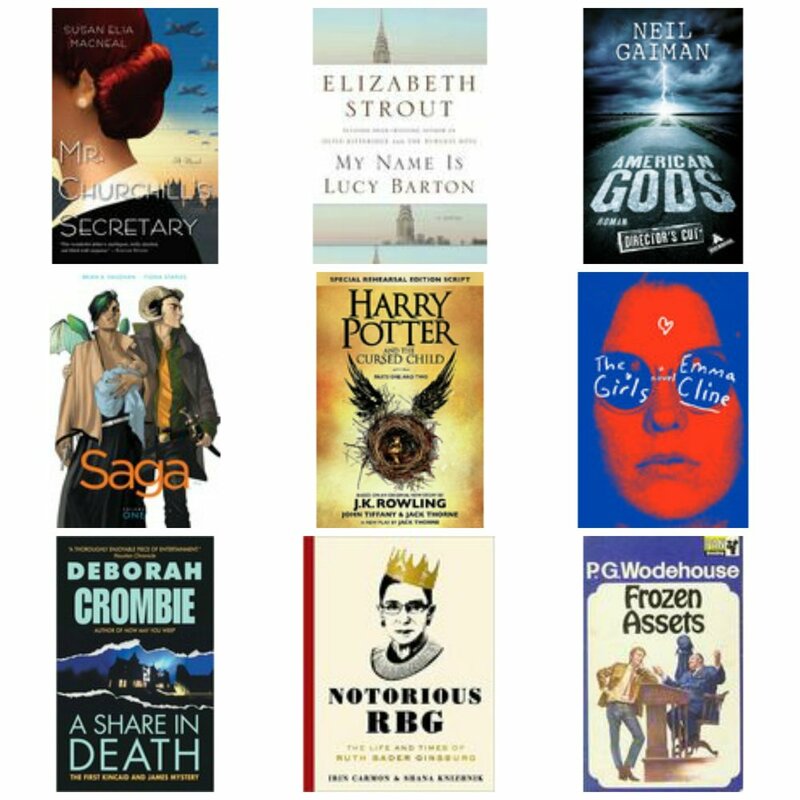 What will you read next year?